Invest in companies you love and build out your perfect portfolio. Diversify your holdings by buying into a bundle of stocks in a single investment. Choose to go long on stocks you believe in and short the ones you don’t. Tap into the cryptocurrency market to trade Bitcoin, Ethereum, and more, 24/7. 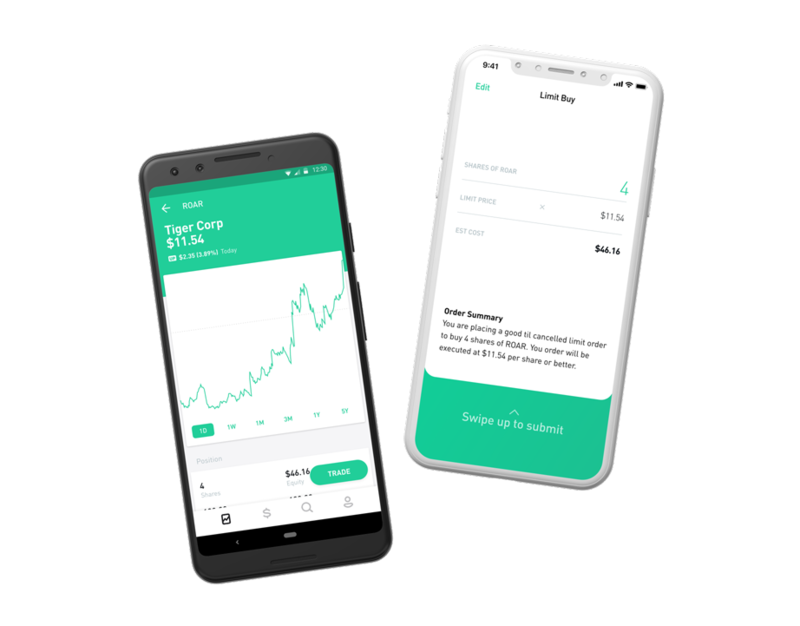 Intuitively designed for newcomers and experts alike, Robinhood gives you a clear picture of your portfolio’s performance over time, so you can adjust your positions and learn by doing. 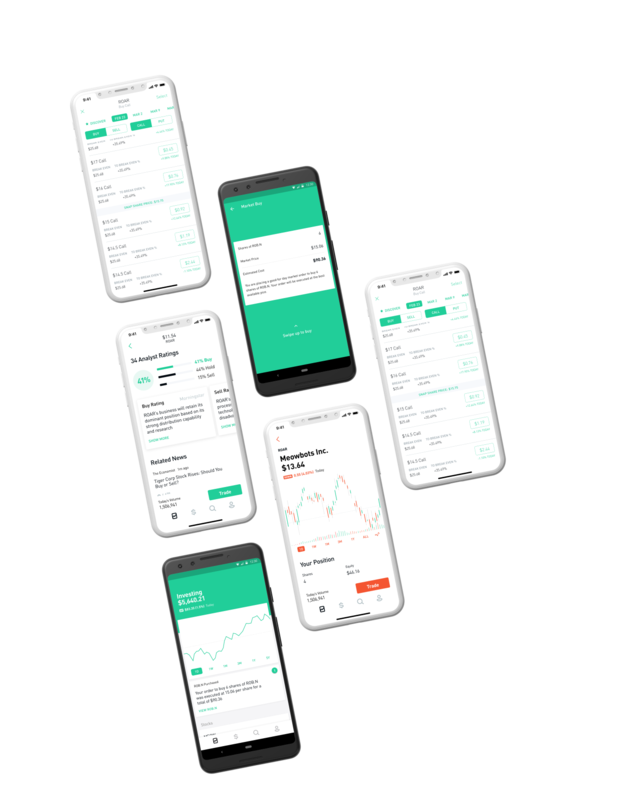 Access professional research reports, trade on margin, and make bigger instant deposits with Robinhood Gold—all starting at $5 a month. 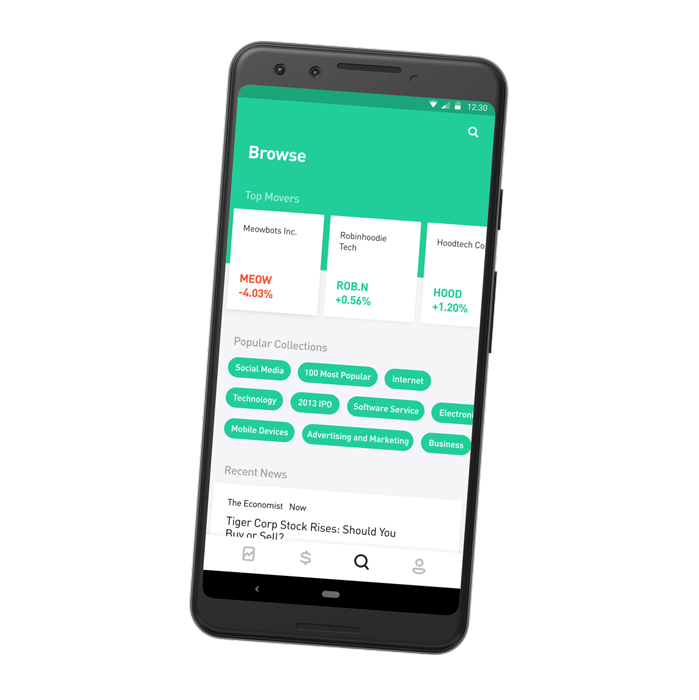 Access tools and features such as price movement notifications and customized investment news so you can find the right moment to invest. Robinhood is a member of SIPC, which protects securities customers of its members up to $500,000 (including $250,000 for claims for cash). Explanatory brochure available upon request or at www.sipc.org. It only takes a few minutes to take control of your financial future. Sign up now to start investing with Robinhood. 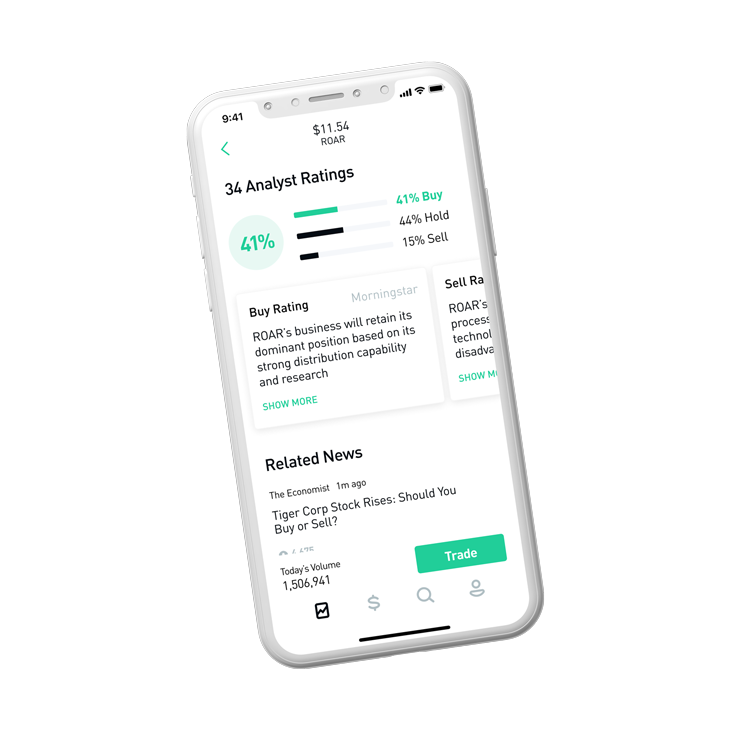 Robinhood Snacks newsletters and podcasts reflect the opinions of only the authors who are associated persons of Robinhood Financial LLC and do not reflect the views of Robinhood Markets, Inc. or any of its subsidiaries or affiliates. 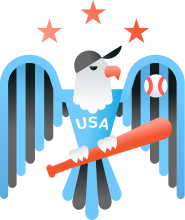 They are meant for informational purposes only, are not intended to serve as a recommendation to buy or sell any security in a self-directed Robinhood account or any other account, and are not an offer or sale of a security. They are also not research reports and are not intended to serve as the basis for any investment decision. Any third-party information provided therein does not reflect the views of Robinhood Markets, Inc., Robinhood Financial LLC, or any of their subsidiaries or affiliates. All investments involve risk and the past performance of a security or financial product does not guarantee future results or returns. Keep in mind that while diversification may help spread risk, it does not assure a profit or protect against loss. There is always the potential of losing money when you invest in securities or other financial products. Investors should consider their investment objectives and risks carefully before investing. The price of a given security may increase or decrease based on market conditions and customers may lose money, including their original investment. Robinhood Financial LLC, member FINRA/SIPC. Testimonials may not be representative of the experience of other customers and are not guarantees of future performance or success. Robinhood Financial LLC, member FINRA/SIPC.